Three sums of electrical power have been discussed in this video. This is the second part of sum discussion . Sum 1: A water heater has a rating of 4 KVA , 240 V.
if it is used for 180 minutes. Rs. 7.00 per commercial unit. Sum 2: The water in an electric kettle took 5 minutes to reach its boiling point when it is connected to 220 v supply. 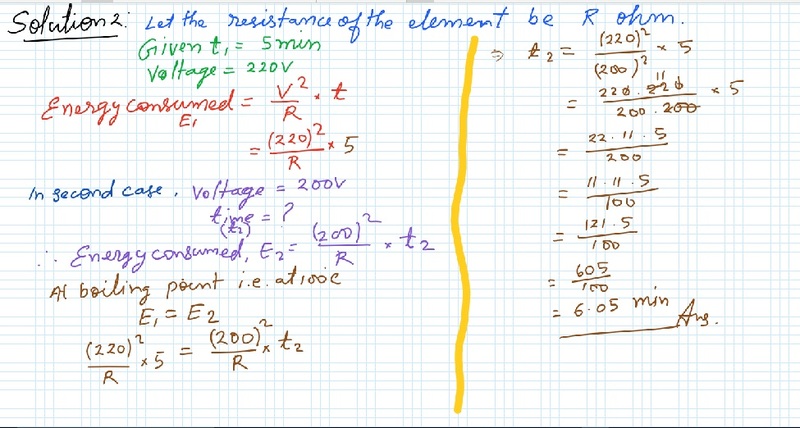 How long would it have taken if the supply voltage had fallen to 200 v.
Sum 3: What is the resistance under normal working conditions of 240V electric lamp rated at 60 W ? If two such lamps are connected in series across a 240 mains supply, explain why each one appears less bright.